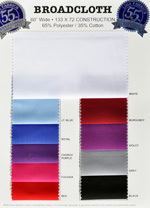 Our Poly/Cotton blend is easy to use and colorfast. It features a beautiful hand, smooth surface and is easy to sew. 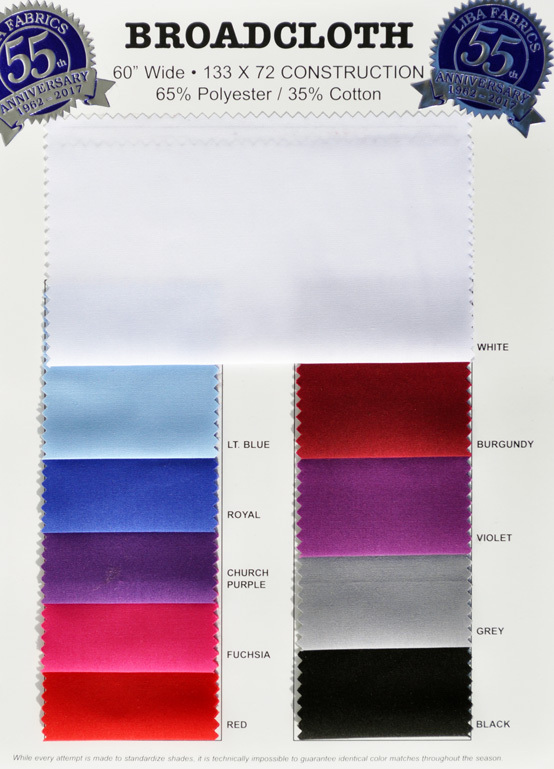 Use to make attractive garments, linings, quilts, draping, decoration, bedding, bed skirts, variances etc. Best Quality in the marketplace with a 133 x 72 Construction and 60" width. Stocking Black and White with Colors dyed to order in the USA or abroad. Beautiful hand, drape and density.